In this episode, Riley and Matthew talk about the latest news in the industry. Kalashnikov announces expansion of the tooling plant for the new Lebedev pistol. 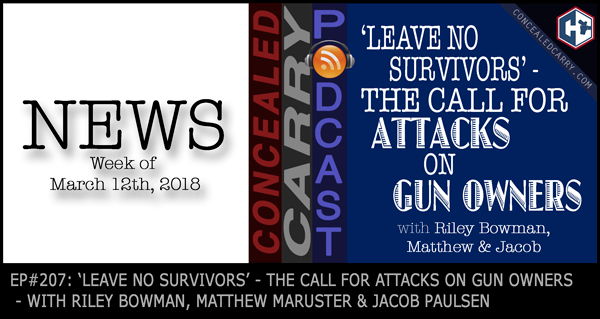 Plus we talk about the latest back-and-f0rth on gun control and pro-gun laws and bills. Plus 3 great news stories featuring JUSTIFIED SAVES that you’re not going to want to miss because there’s some great lessons learned. Press PLAY above to indulge in this incredible content! Gun sales usually skyrocket after mass shootings. But not this time.